Are you looking for a renowned software application development company with exceptional service offerings? Well, you have landed on the right page! 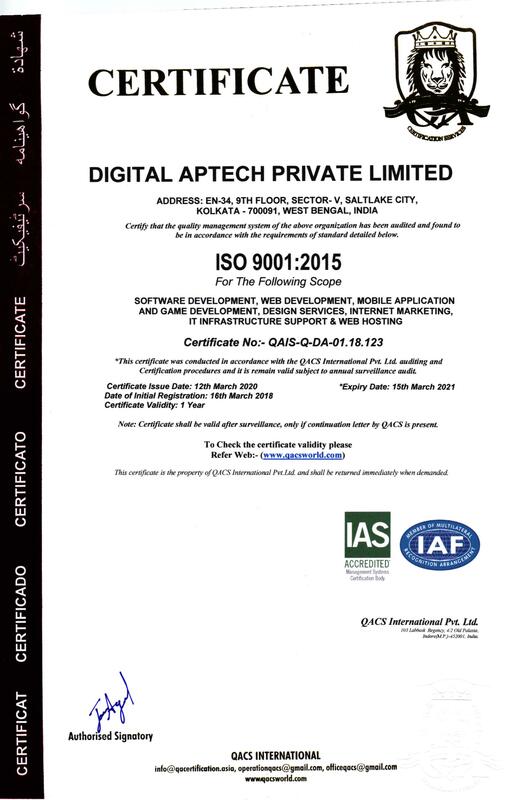 Digital Aptech is a multi-award winning, ISO 27001:2013 and ISO 9001:2015 certified software application development company that has a strong foothold of seasoned skills, creative ideas and the ability to deliver services with utmost perfection. 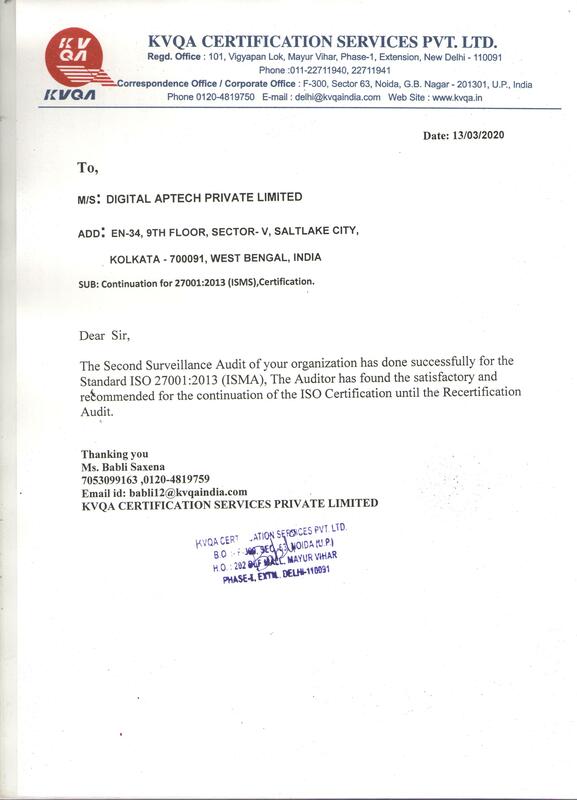 Headquartered in India, with three state-of-the-art offices in the US, UK and Australia, Digital Aptech is ideally positioned to provide top-notch software services to clients all around the globe. Our main objective is to provide the best services and accelerate the growth of your business in the competitive market. With our innovative strategies, working experience of years and unparalleled technical skills, we really upgrade your business. We are the masters in offering software application development solutions. Flexibility: In this modern landscape of business, product or service requirement can change rapidly. This is why we are ever-ready to ramp up the team, accommodate a changing scope or master a new technology if your vision calls for it – all thanks to our agile mindset! Craftsmanship: We love what we do and we are always trying to improve through continuous education, powerful R&D and staying up-to-date with the latest industry news. The result? We provide the best combination of technology stacks to solve your business challenges. Teamwork: A committed, skilled and tight-knit team is the centre of any project. Working with us, you will feel like we are working together for ages! Our professionals make your objectives their own and work seamlessly with all the departments to make that happen. Trust: We build relationships based on trust and openness and we embed those values into our low-risk, flexible development process. We make sure that every client has the maximum visibility into the project. We take full responsibility of what we deliver – and beyond!